To view the award ceremony from October, 13, 2015, click here. Dr. Dagher will travel to Washington D.C. for a White House Champions of Change event hosted by the U.S. Department of Transportation and the White House Office of Public Engagement “Innovators in Transportation for the Future.” U.S. Secretary of Transportation Anthony Foxx will recognize 11 of the nation’s top transportation innovators for their exemplary leadership in advancing transportation and leading change that benefits our nation’s transportation system. In addition to the composite arch bridge system, Dr. Dagher’s history of innovation includes being named on 24 patents with 8 more pending. 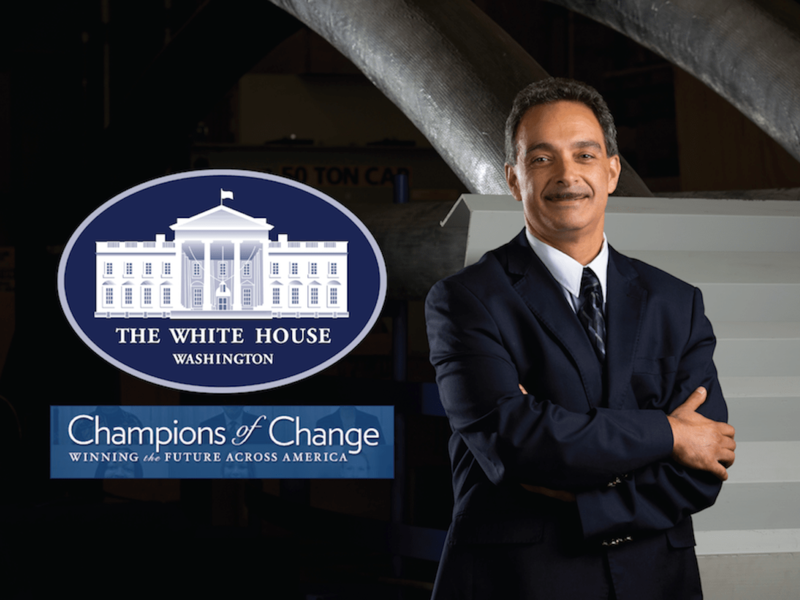 The White House Champions of Change Program honors Americans who are empowering and inspiring other members of their communities. At the event, honorees will have the opportunity to highlight their efforts in advancing transportation during a panel discussion. In addition, a blog post and the biography of each honoree will be featured on the White House website. “There is a general perception that we here in the state of Maine are at the end of the road, that we have a limited future, and that we’ve just got to play the cards that we were dealt. Habib Dagher is an example of how mistaken the skeptics are with regard to Maine. A bright future comes with a vision, a plan, and a strategy to take ideas forward and make them a reality. Dr. Dagher has proven with his accomplishments that Maine’s vibrant future begins by believing that we are fully capable of creating it,” said Pete Vigue, Chairman and CEO of the Cianbro Companies. The Composite Arch Bridge System is a lightweight, corrosion resistant system for short to medium span bridge construction using FRP composite arch tubes that start out flat and packed in a bag. The tubes are inflated and bent to any curvature over a mold and infused with a resin. The tubes can cure in three hours, resulting in a lightweight curved hollow arch twice as strong as steel, which is then filled with concrete on site. Prior to placing the concrete, a lightweight 60 ft span arch can be lifted into place by two people. The FRP tubes serve three functions: they act as exoskeleton reinforcement for the concrete, formwork for the concrete, and as a protective layer for the concrete. The patented bridge technology saves both time and money, reduces the carbon footprint of the bridge by 30% compared to current technologies, and provides for up to a 100-year life. 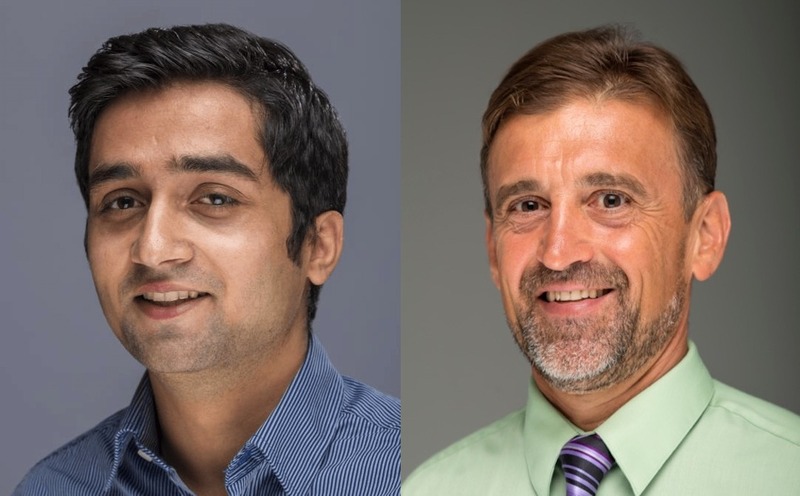 UMaine has licensed the composite arch bridge technology to a private start-up company, Advanced Infrastructure Technologies (AIT), who designs and builds these bridges. Some roadway bridges have been built in less than two weeks, including the time it takes to remove the existing structure – this means less road closures and traffic disruptions. In 2014, the Composite Arch Bridge system was approved in the American Association of State Highway and Transportation Officials (AASHTO) bridge code, the first FRP composite bridge system to be approved in the US bridge design code. 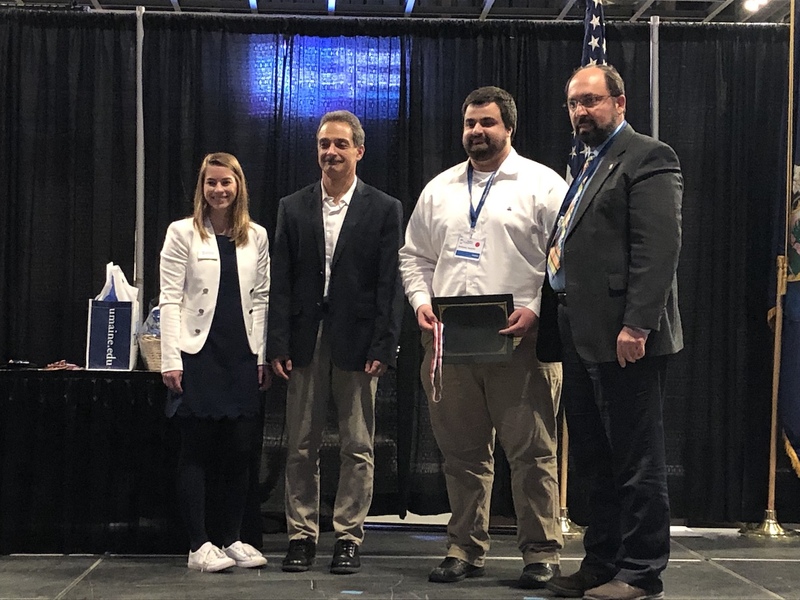 “This award honors over a decade of ground breaking research by Habib and the UMaine team and highlights the importance of our continued partnership in advancing the nation’s transportation industry. We are honored to be commercializing the composite arch bridge system across the globe,” said Brit Svoboda, Chairman and CEO of AIT. Composite arch bridges have been installed in 18 locations in the US and beyond by AIT. Dr. Dagher and the UMaine Composites Center have received top industry awards for the composite arch bridge technology, including the 2011 Charles Pankow Award for Innovation by the American Society of Civil Engineers (ASCE), the 2011 Engineering Excellence Awards by the American Council of Engineering Companies (ACEC), and the 2010 Most Creative Product Award by the American Composites Manufacturers Association (ACMA). Under Dr. Dagher’s leadership, the UMaine Composites Center grew from an idea proposed to the National Science Foundation in 1996 to a 100,000 ft2 world leading research laboratory with 180 full and part-time employees and students, the largest STEM-based research center at a Maine university. 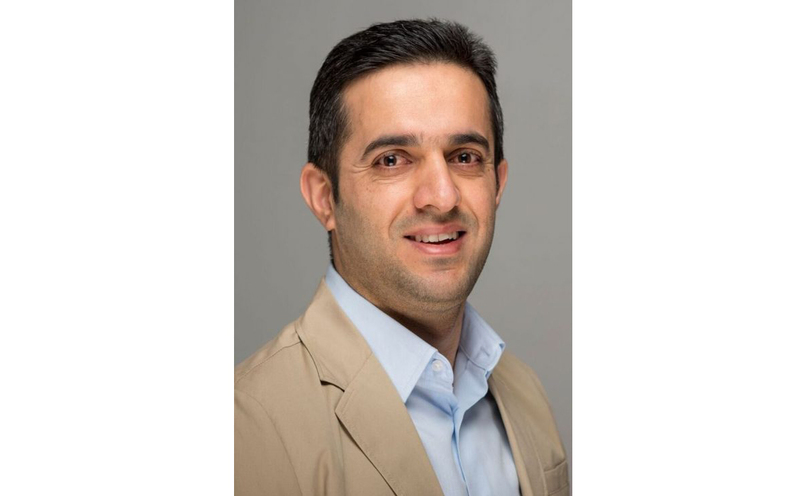 Dr. Dagher has received numerous awards including the Carnegie Foundation Maine Professor of the Year and the Distinguished Maine Professor Award. 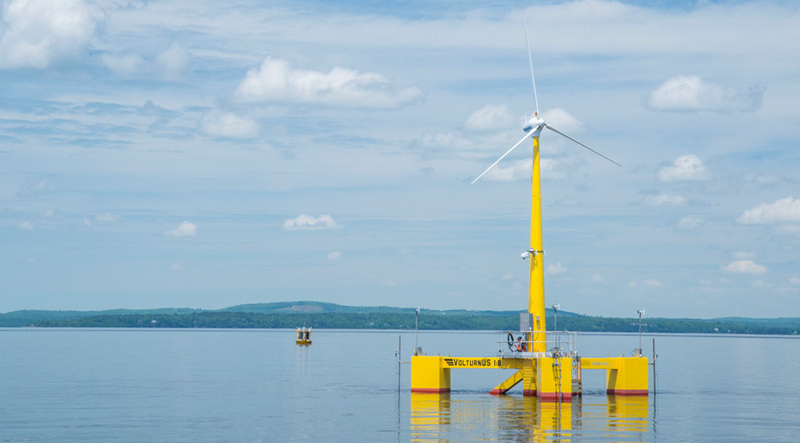 Dr. Dagher and his team at the UMaine Composites Center have a long history of engineering innovations, including developing the VolturnUS 1:8, the first concrete and FRP floating wind turbine in the world, which became the first grid-connected offshore wind turbine in the US in the summer of 2013. The Center worked the US Army Natick Soldier Center to develop the Modular Ballistic Protection System, which turns an army tent into a “walk-in-helmet” that save lives. The MBPS is now an approved product by the US Army and is being manufactured by two Maine-based companies. The Center also worked with the US Army Corps of Engineers to develop patented blast-and hurricane resistant wood buildings, achieving the enhanced qualities by applying a thin FRP coating to common wood studs and sheathing panels.